Villainy swells! 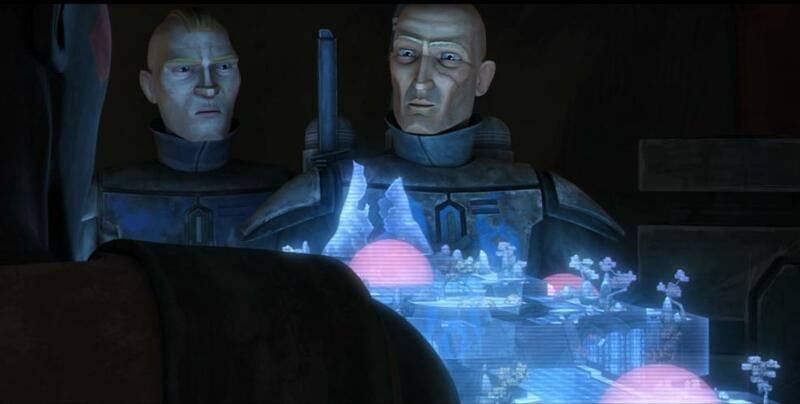 With an army of the galaxy’s most vicious criminals, Darth Maul and Savage Opress conspire with Pre Vizsla and the Death Watch to topple Duchess Satine, ruler of Mandalore. While the conspirators prepare to attack the Mandalorian capital of Sundari from a base on Zanbar, the fate of 2,000 other neutral systems is under threat as Darth Maul moves closer to establishing a vast criminal empire. 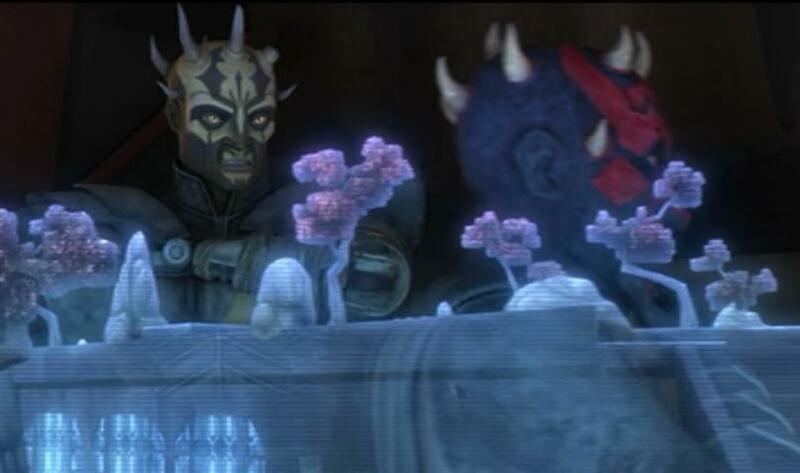 Pre Vizsla was concerned about taking Mandalore by force, but Darth Maul is able to show a smart strategy of making Death Watch seem needed. Indeed, Darth Maul’s plan points out a weakness in Satine’s rule. 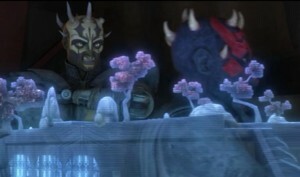 Despite Pre Vizsla’s and Bo-Katan’s concerns about Darth Maul, they both seem satisfied (perhaps impressed(?)) with his plan and are happy to go along with it. Despite Darth Maul’s awareness of the impending betrayal of Pre Vizsla, he knows he needs his alliance. 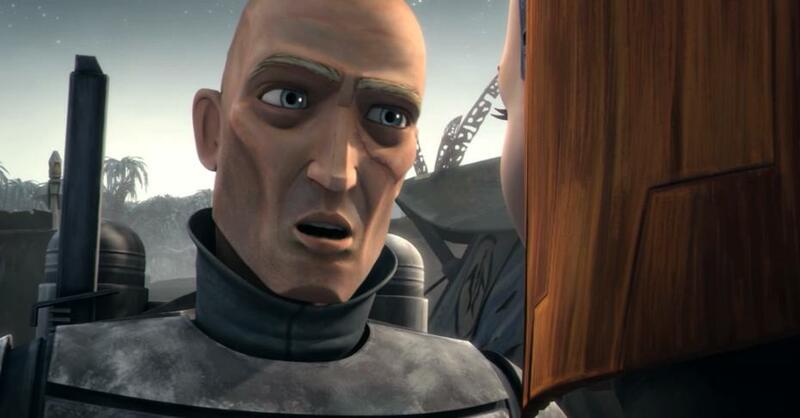 His primary reasoning is due to shield them from the Jedi – if they knew, the Jedi would come after them. He also agrees with Savage Oppress that they’re able to use wealth to their advantage in taking power on Mandalore.